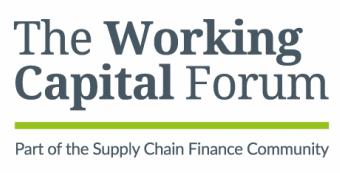 The next Working Capital Forum lunch will be held at The Ritz in London's Piccadilly on 15th June. Our topic this time will be the need for multinational corporations to have a financial supply chain strategy if they are to compete effectively in global markets. That means moving beyond treasury's concern for cash optimization, or procurement's concern for supplier risk and putting in place a strategic plan that sees key suppliers as an essential component of a flourishing business model. With this in mind, we are asking all our treasury, finance and procurement contacts to help us understand how far corporations have moved towards such a strategy. You can participate here, even if you don't plan to attend the event, and your answers will be completely confidential. We'll be releasing the results at the lunch, but we will also send you a copy if you wish. ​If you are a corporate treasurer or procurement director and would like to join us, please use the button below to request an invitation. This year the Working Capital Forum is becoming international, with events planned across the UK as well as in the Nordics, Western Europe and the USA. We'll be announcing dates and locations soon, but if you are a corporate treasurer or procurement director and would like to attend an event near you, click below to register your interest. If you would like to know more about how a Working Capital Forum meeting works, this short video might help. Since we started in 2015 we've been joined by companies as diverse as AstraZeneca, Dentsu Aegis, John Lewis, Liberty Global, Tesco, BP, Centrica, Rio Tinto, Rolls-Royce, SABMiller, Tesco and Jaguar LandRover.